Our history is rooted in the corporate responsibility movement of the 1970s. Using their corporate investments, religious institutions pressured companies to provide better working conditions or disinvest in Apartheid South Africa. These institutions also aimed to use a portion of their retirement and other investments to encourage access to capital for credit-starved low-income communities in the United States and to proactively support community organizations whose values resonated with their own. Recognizing this growing desire among religious communities, Christian Brothers Investment Services (CBIS) created Partners for the Common Good in 1989 as a collaborative vehicle for religious institutions to help the poor and empower the marginalized. CBIS established PCG as a series of limited partnership funds: Partners for the Common Good Loan Fund (1989-1994) and PCG 2000 (1994-2000). Under the leadership of Sister Carol Coston, O.P., PCG 2000 attracted investments from nearly 100 religious institutions. In 2001, PCG was recognized for its leadership and innovation when it was selected to receive a prestigious Presidential Award for Excellence in Microenterprise Development in the category of Program Innovation. Among the first “community investor” funds, PCG Loan Fund and PCG 2000 played a pioneering role in creating a market for community investments and helping other socially motivated investor pools get started. PCG was one of the first national intermediaries to focus on serving the nascent and emerging Community Development Financial Institutions (CDFI) industry. Today, many foundations, banks and other socially motivated investor funds have utilized PCG's blue print and incorporated similar types of community investments into their portfolios. In 2000, PCG was reorganized as an independent, tax-exempt nonprofit organization and in 2003 became a membership corporation. 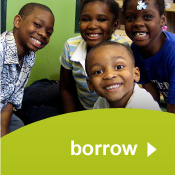 PCG is a U.S. Department of Treasury certified Community Development Financial Institution (CDFI). We are taking a leadership role within the domestic Community Development Finance Industry by operating as a wholesale participation lender and creating a loan participation network. Our work is pioneering because it creates new tools for mission based lenders to manage liquidity, loan limits, and other balance sheet challenges that stymie the growth and impact capacity of the CDFI industry. Most importantly, PCG’s lending work brings more capital to communities that need it most. Through 2012 PCG has provided access to capital for over 100 organizations engaged in economic development. SWCAP is a high-impact community action agency in Southwestern Wisconsin. PCG's loan helped expand an SWCAP dental clinic that serves low-income children in this area. 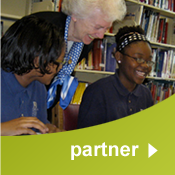 $5.5 million NMTC allocation brings together 800 elementary and middle school students in New Orleans charter school. 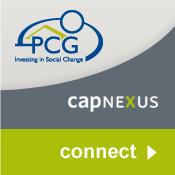 PCG and Southern Bancorp financed a 24-unit apartment complex in a rural Mississippi town with per capita income of $13,482.